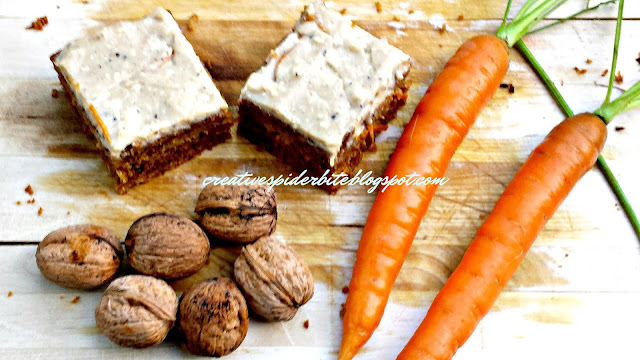 I have tried many carrot cake recipes over the years, and for the past 12 years I keep going back to this one, as I simple haven't found another one I like as much as this simply perfect carrot cake. It is very moist and full of taste with a lovely organgy taste in the icing. The original recipe is out of an old english baking book I once bought in this amazing second hand book shop that I never wanted to leave again in Bude/Cornwall, that has sadly closed down. 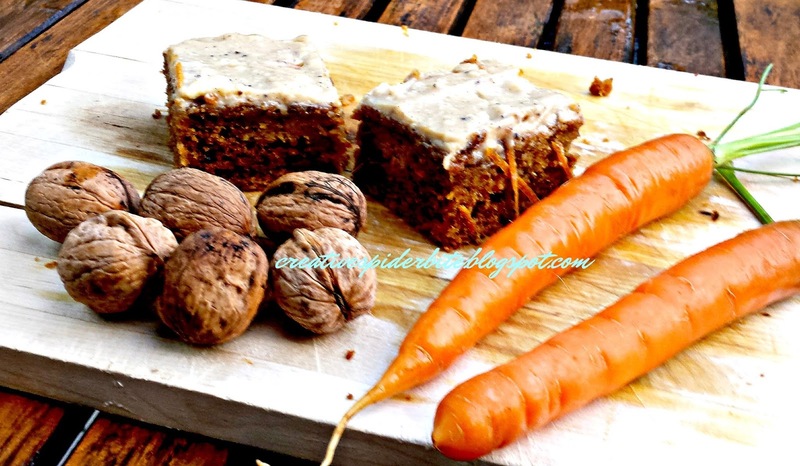 I have tweaked the recipe a good bit over the years to get to this final recipe for the perfect carrot cake in my eyes. There are many reasons why I like this recipe so much. 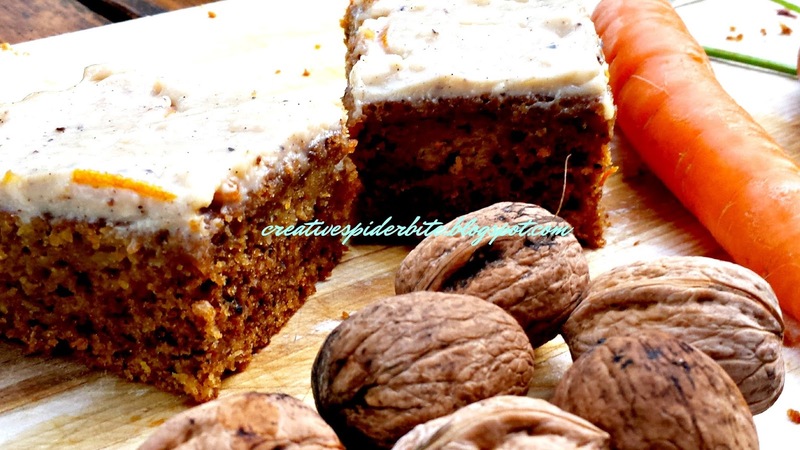 The above mentioned moistness, the orange flavouring contrast to the icing, walnuts (or pecans are ok, too. I have tried it!) They all just add that bit of extra taste. And then the combination of cinnamon and fresh ground nutmeg just give it that last kick. Mix all well and at last pour your cranberries through a strainer and discard the water, now fold the cranberries gently under your dough. Grease or line a 15cm/6inch square cake tin. Check with little wooden tooth pick if backed. My oven is one of those incredible fast baking ones (I guess it might be hotter than it should be) and it is usually baked at around 55mins to one hour. Mix all ingredients in a mixing bowl and spread over cooled carrot cake. 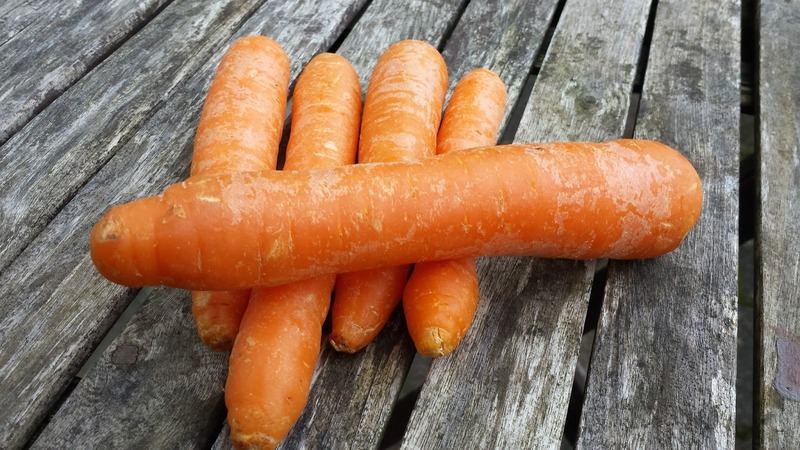 Are you looking for other recipes with carrots? How about a nice home baked carrot bread? Find the recipe here! Thanks! I am glad you enjoyed reading about our fav carrot cake!